If you’re a pool owner you probably already know that a pool fence is one of the necessary safety features to add to your home. But, even when pools have fences around them, near-tragedies can happen. Consider this story out of Michigan where a 3-year-old boy nearly drowned. The boy was with his mother near a gated pool when he decided to re-enter the pool after his mother thought they were done for the day. The mother turned away for a second when the boy took off his life jacket and re-entered the gated pool area. She found him floating in the pool, unresponsive. His mother gave him CPR until emergency personnel arrived. The boy was taken to the hospital where he received treatment and survived. Although the pool did have a gate, it’s unclear whether there was a lock and if the boy was able to open it. Stories like this one remind us of the importance of not only have a secure lock on our pool fences, but using them each and every time. If a pool fence is secured it provides much more protection than a fence that has an opening. An unlocked fence allows a child to easily enter the pool area, especially if an adult looks away. At Protect-A-Child Pool Fence, we understand the importance of having secure pool gates which is why we offer self-closing gates. This is an easy and convenient way to keep your pool fence locked and to keep children safe. Contact Protect-A-Child Pool Fence today at 1-800-992-2206 to learn more about our pool fences and their safety features. We have the expertise you need when it comes to installing a pool fence at your home. 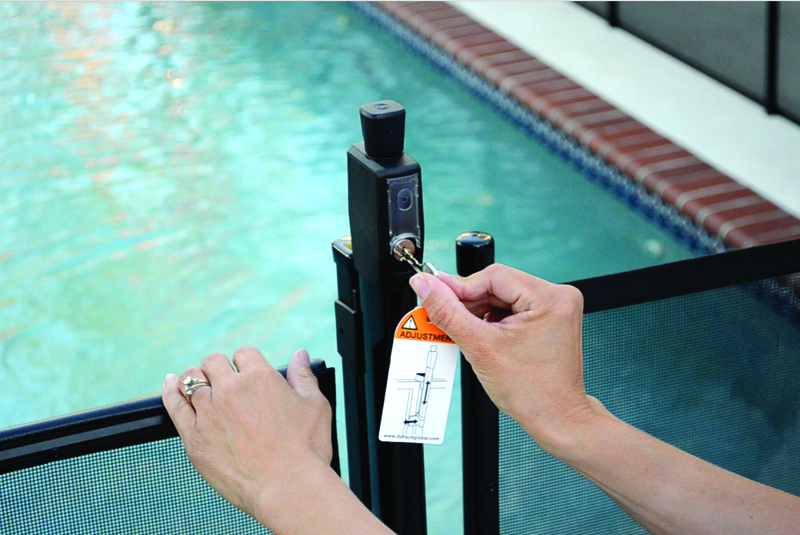 Let us show you why a gate and lock are important features on all pool fences.